For software developers, Platform-as-a-Service (PaaS) offers clear advantages over managing your own development infrastructure and allows more time to focus on designing and coding. 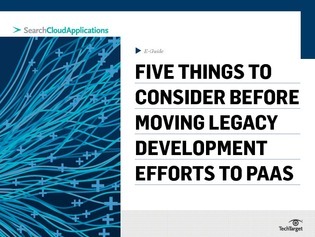 But is PaaS right for all development projects? Before you make the move to PaaS, there are several questions to ask yourself and your prospective vendors. How will you use PaaS? Do your development tools and practices fit with PaaS? Do you need to integrate with on-premise resources?